A few weeks ago, I laid out SpringSource's vision for creating a unified enterprise Java solution that spans the application lifecycle. Today, we announce a significant advance in realizing that vision: SpringSource's acquisition of Hyperic, which greatly strengthens our capabilities for the management of modern applications and infrastructure. As SpringSource has grown, like the Spring open source projects, the company has taken on a wider range of problems. Today's announcement is the logical continuation of our push into the server space, and offers the potential to further simplify the lives of our users and customers. Update: The second installment of the "Introducing Spring Roo" blog series is now available and includes a detailed step-by-step tutorial to help you get started with Roo. The third installment covers Roo's internal architecture in detail. The twittersphere has been abuzz this week with news from SpringOne Europe. One announcement generating a significant amount of interest is SpringSource’s new open source productivity tool, codenamed “Roo”. Roo is a sophisticated round-tripping code generator that makes it quicker and easier than you’ve ever imagined to create and evolve Spring applications. Even if you have reservations about code generation, it will still be worth taking a look at Roo. It contains significant innovation that addresses all major objections to code generation, whilst still delivering best practice Spring applications and remaining useful throughout the application lifecycle. Last year, Oracle acquired BEA Systems, the hottest company in enterprise Java…until around 2001. Today, they announced the acquisition of Sun Microsystems, the architects of the infrastructure of the dot com era. Remember the “dot in dot com”?? Larry Ellison states that “Java is the single most important software we’ve ever acquired."? Ellison is right about the importance of Java: Java is the world’s #1 programming language and the dominant choice of the enterprise. But the question is exactly what has Oracle acquired? There is no purpose to be served by Oracle trying to milk the Java language itself for profit–and, in any case, it’s now open enough to make that impossible. (Open sourcing Java did turn out to matter. A lot.) And it is a long time since Sun controlled enterprise Java in a meaningful way. The Spring Web Flow project team has just completed the 7th maintenance release of Web Flow 2. This is our best release to-date and comes nearly one year to the day of the Web Flow 2.0.0 final release. Now, with the 2.0.x line mature and stable, we are beginning work on the next major version. In this entry, I would like to reflect on the past year and also provide some information on where we are headed. When Web Flow 2 was released last year, we saw 50,000 downloads in the first two months after the release. Since then, our forum traffic has steadily increased, and we have seen new adoption across several exciting industries. Many of you know Spring Web Flow is the foundation of Orbitz's on-line travel platform which today powers sites such as ebookers.com and nwa.com. If you have been following the 2009 NBA playoffs, you may also find it interesting Web Flow is an important component of nba.com as well. You may remember the AMC Gremlin–a strong claimant for ugliest car ever. The Gremlin was produced back in the 70s, but there are still a few around, like this one, which I photographed last year in San Francisco. The enterprise Java experience today reminds me of this piece of American motoring heritage. The Gremlin was a desperate response to the oil shock. AMC needed a “compact” car, so they took the smallest car they had and chopped it in half. The end result sold surprisingly well, but showed unmistakable signs of the fact that its front and rear were produced by different teams and hastily cobbled together. Needless to say, it was Japanese and European manufacturers who triumphed in the shift toward smaller cars. Over the past couple of months, we’ve had a number of customers report issues to us regarding ClassNotFoundExceptions and proxies in dm Server. The issue actually has to do with type visibility in OSGi and is explained very well by Peter Kriens over at the OSGi Alliance Blog. Please take a look at his post if you are seeing classloading issues when using proxies in dm Server or any other OSGi runtime. Google just announced that their Google App Engine cloud hosting platform now supports other languages than Python: namely Java and Groovy! 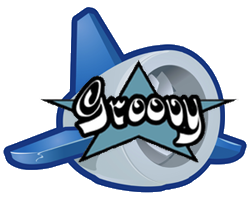 You can now effectively write your Google App Engine applications in Groovy! A couple of weeks ago, the SpringSource Groovy team and the Google App Engine Java team worked together, hand in hand, to iron out the details, to ensure that the popular and award-winning Groovy dynamic language for the JVM would run well on this exciting platform. After having created together some patches for Groovy, in the area of constrained and strict security manager policies, the Groovy development team integrated these patches and released the updated Groovy 1.6.1 version in line for the D-Day. With this new release, you can directly use the “groovy-all” JAR in your WEB-INF/lib directory and get started writing your applications in Groovy, right away, and host them on Google’s infrastructure. Development work on dm Server 2.0 has been fully underway for some time now and I’m pleased to announce that the first milestone is available for download. Downloads are available from our home page. You can find more information about the features in this release and the coming release in my previous entry. For the development of the 2.0 release, the dm Server team have adopted Scrum. You can see our current sprint and release backlogs in our JIRA. As ever, the development of dm Server is driven by the requirements of our users. If you see an item on the backlog that you’d like us to implement, please take the time to vote for it. Equally, if you’d like dm Server to be able to do something that isn’t currently covered by an item on the backlog, please open a new user story describing what you’d like to be able to do. We get a lot of questions from dm Server users about what to expect in the next few releases. In this blog entry, I will outline the main features that we have on our roadmap. We are following Scrum practices so you can expect to see reasonably frequent milestones as output from our sprints, and we are flexible in handling new requirements and changes in priorities. Shared repositories allow you to have a centralized location for managing the artifacts that are available to be installed in your dm Server instances. These shared repositories can then be added to a dm Server configuration at any point in its repository chain.